Reading Shakespeare is a challenge. Yet, with an annotated text, students find their way. Along with the normal strategies of reading an old text, in an unusual language, I have also explored using visual literacy skills to enhance meaning and explore the progression of the story. Drawing and working with visual mediums as a regular practice affords many opportunities to work on critical and creative skills in order to develop insight, awareness, understanding, and enhance articulation. 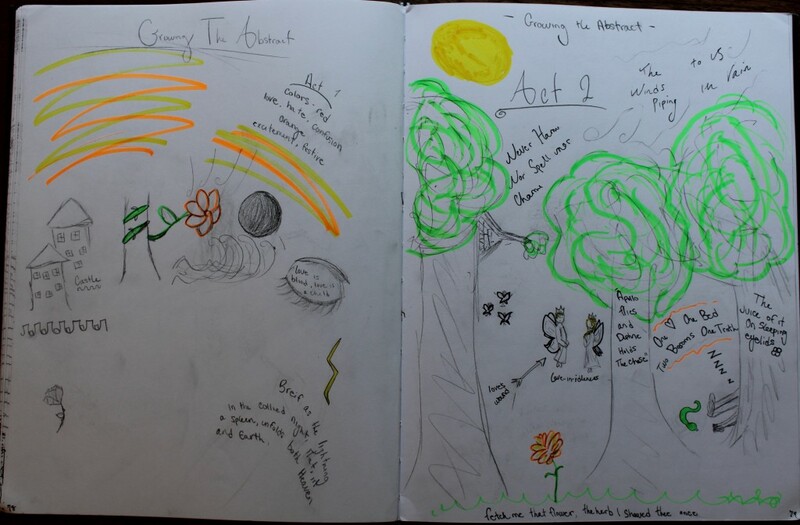 For this exercise, I asked students to make a visual design of the particular act. A design that communicates both the meanings of the play, but also their interpretations and understandings of the play’s story. I encourage students to pay attention to the page design, to incorporate place, subjects, people, even conversation that seems significant. 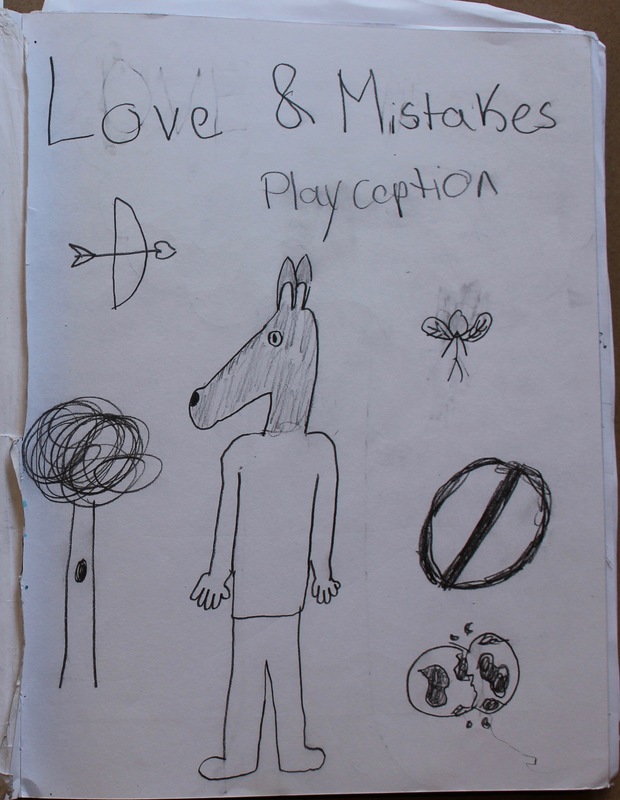 I also suggested that they create a visuals that will tell the story but also remind them of their reading experience. 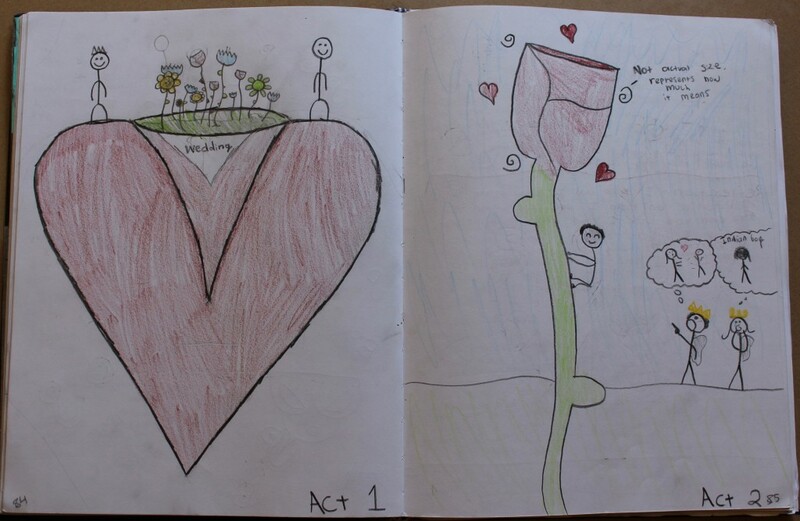 The page becomes a canvas of visual knowledge, open to any arrangement that is meaningful to them. The journal without lines gives us this freedom. A freedom they completely explore. 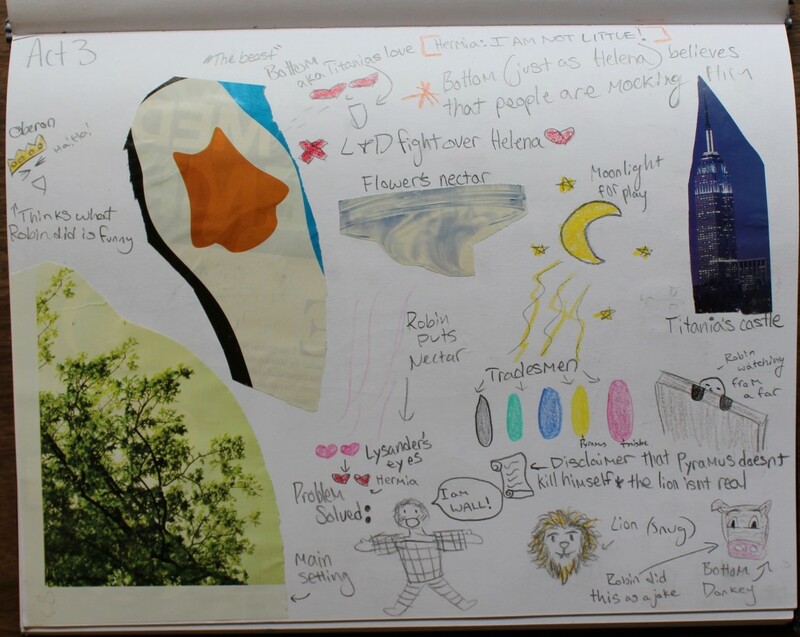 The page in the journal becomes a composition and like all the images we view, discuss and draw, a visual medium awaiting discovery and dialogue.